We are committed to providing comprehensive and compassionate therapy services. Our therapy-based preschool program providing a communicative environment for children. Dedicated professionals committed to the health and well-being of your loved ones. Helping individuals participate in activities of daily living through everyday occupations. Helping individuals develop the proper communication skills to effectively communicate their needs. A natural environment for children to learn effective communication skills through individualized therapy. 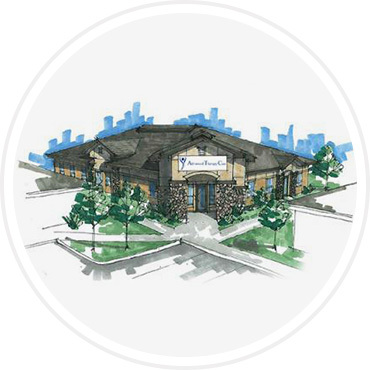 Our clinic provides private speech and occupational therapy services throughout the Treasure Valley, including Boise, Meridian, Eagle, Kuna, Nampa, Star, Caldwell, and the Mountain Home area. Advanced Therapy Care has been providing services for children and adults for the past 13 years. Our therapists provide services in a variety of settings including our private clinics, preschool, schools, and home-based therapy for adults and children. Advanced Therapy Care offers a variety of skilled speech-language pathology and occupational therapy services including consultation, diagnosis, and treatment for all ages. We have therapists with school-based experience and we are willing to contract with local school districts to fill vacant SLP positions. We also have several therapists who are trained in VitalStim therapy for treating patients with swallowing disorders. In general, adult speech therapy services are misunderstood and underutilized. We address common issues for all ages. Speech and language evaluations help determine and properly assess your child's level of communication. Our therapists are experts in evaluating the determining factors that impact a child's growth and development. The Stone Tongue Thrust Protocol (STTP) is a unique replacement to traditional models for remediation of the tongue thrust. We are extremely excited to announce that we now offer E-Stim therapy to all of our swallowing patients. A program that combines proven technology and techniques which can be used to reduce stuttering and to help increase fluency. Our therapy-based preschool program provides a facilitative communication environment for children ages 2 1/2 to 5. Our Meridian location is the home of Kids Connect, which is our therapy-based preschool program providing a facilitative communication environment for children ages 2 1/2 to 5 with developmental delays. The environment and curriculum focuses on active language development for children with delays in addition to individual speech and language therapy and occupational therapy. The integrated structure allows children to have natural, appropriate peer models facilitated through interactive activities which require greetings, initiation, requesting, turn talking, commenting, etc. We also accept children to serve as a peer role model. Pricing varies from $0 - $300 per month depending on insurance. Our Occupational Therapists have expertise in evaluating children's neurological, muscular, and emotional development, and determining the effects of infant and childhood illness on growth and development. Our clinic provides private speech and occupational services throughout the Treasure Valley including Boise, Meridian, Eagle, Kuna, Nampa, Star, Caldwell, and the Mountain Home area. 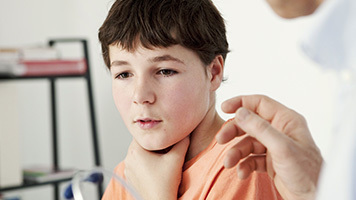 Advanced Therapy Care has been providing services for children and adults for the past 13 years. We are a group of dedicated professionals practicing state-of-the-art occupational and speech therapy services in an environment dedicated to the health and well-being of our clients and their families.